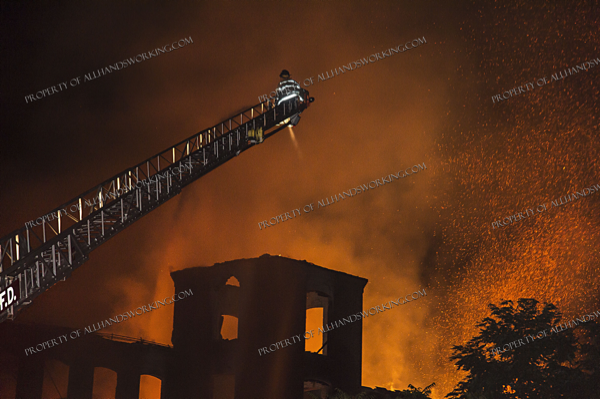 07/30/18 Waterbury, CT – A long vacant mill building went up in flames in the city of Waterbury. 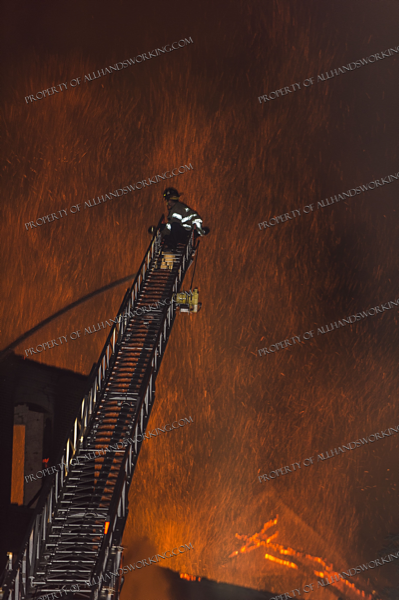 The 1st call was received just before one o’clock. 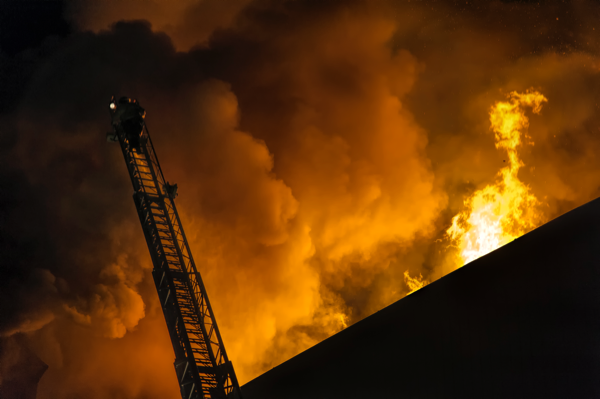 Companies reported that a large volume of fire could be seen while responding. 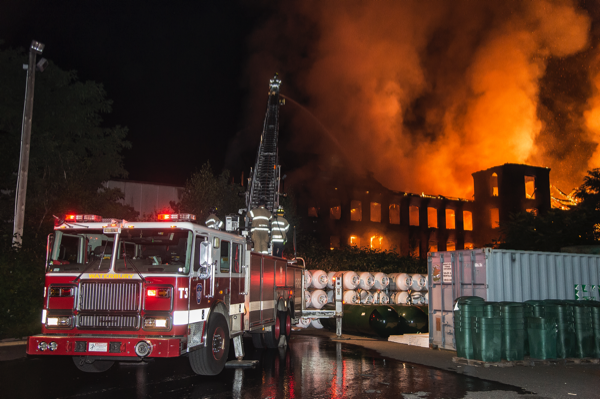 Upon arrival, they had a four-story, mill building fully involved. 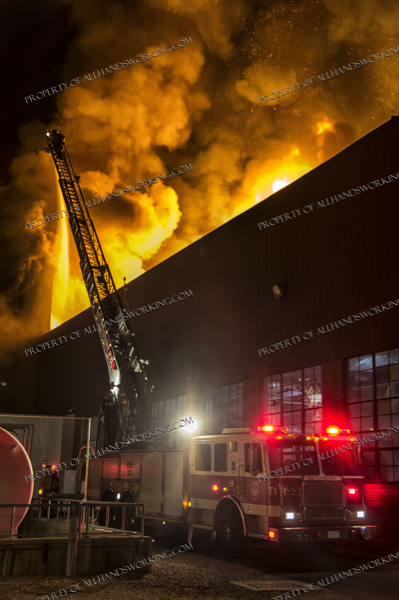 Companies were hampered by difficult access to the building, including a natural gas plant as an exposure. 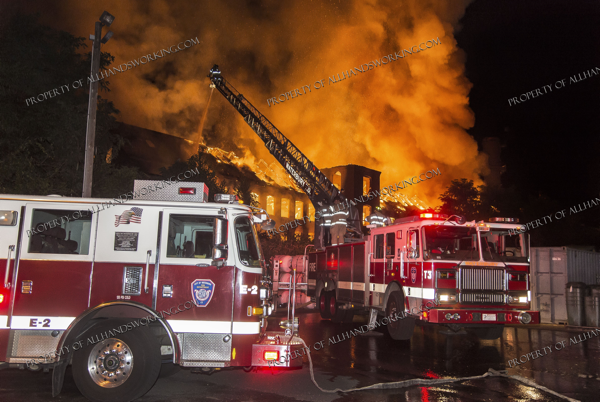 Four ladder pipes and several multi-versals were used to darken down the heavy volume of fire after a two and a half hour firefight. 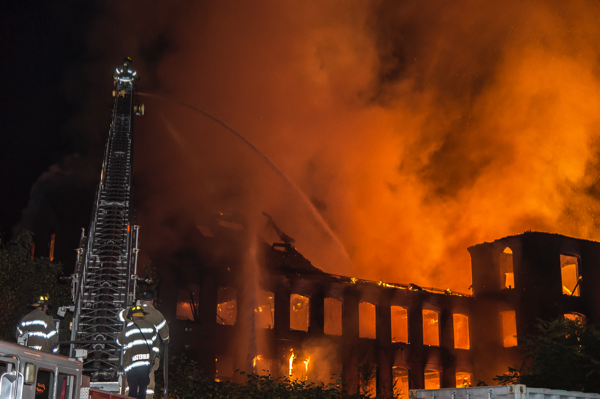 Companies were expected to maintain a fire watch until the building is demolished. 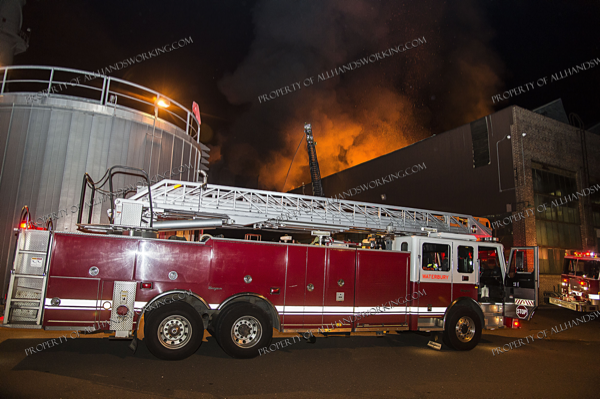 The cause of the fire is suspicious.